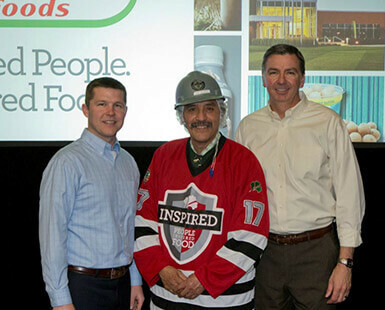 Hearing his name called as the Algona (Iowa) Plant’s inaugural recipient of the Hormel Foods Pride of the Jersey award stopped Dave Shillington in his tracks. And that’s no small feat. The Production Professional—by his own admission—is always moving. Of the 100 or so Hormel Foods employees who were gathered in the Algona High School auditorium that day, Dave may well have been the only one who was puzzled. 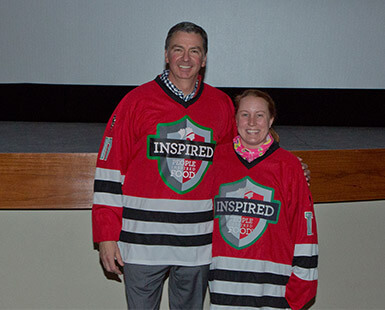 Others knew exactly why he was being called to the stage to don the jersey that is being handed off throughout the company and its locations. 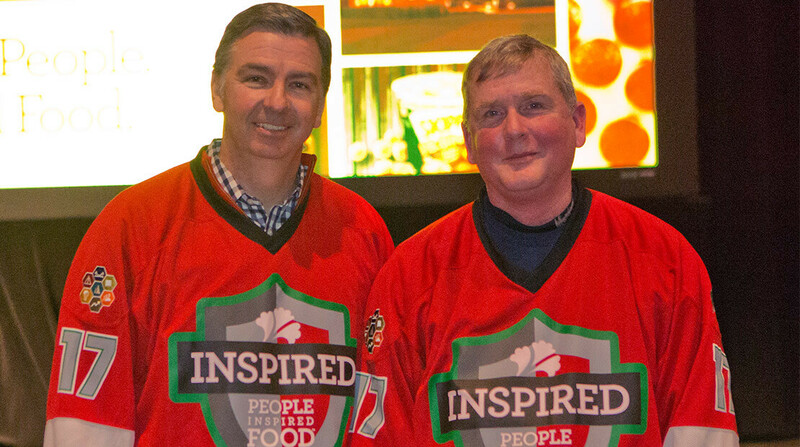 Simply put, Dave embodies and lives the Hormel Foods culture day in and day out, and that’s precisely the point of the Pride of the Jersey campaign. “Dave comes to work and leads by example each and every day. He walks through the front door in the morning with a smile on his face, ready to greet whomever he meets. Dave is a great example of living our cultural beliefs because it is how he lives his life,” Jeremy says. Dave grew up in Algona. He joined the plant 25 years ago after a stint in construction. He admits he never thought he’d spend a quarter-century in one place, but it soon became home. Indeed, Dave cares deeply about the company and its people. And they about him. “I most admire Dave for his willingness to speak up. When Dave talks, people listen because of who he has become over his 25 years of service. He is known for genuine kindness and honesty. He is not boastful or flashy. Just a man of great character and integrity,” says Jeremy. 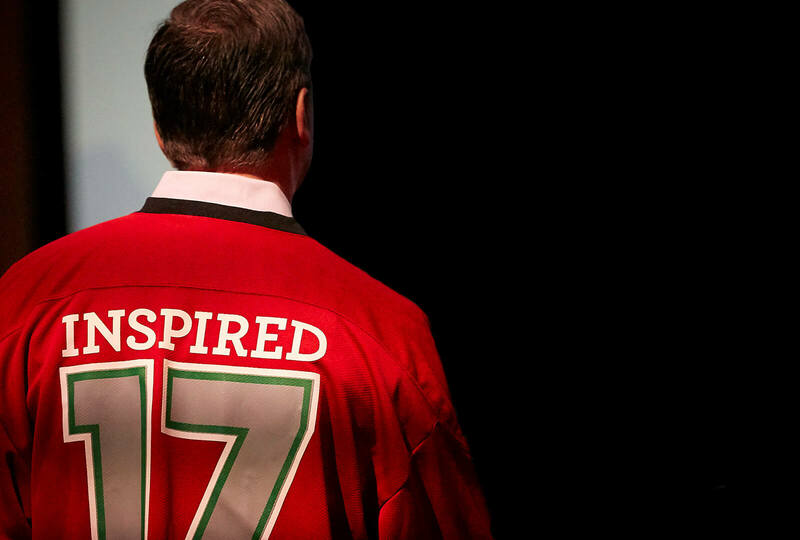 It comes as no surprise that Dave’s week with the jersey involved family and friends. (His wife, three children and four grandchildren mean the world to him.) He wore it to work one day, but “didn’t want to get it dirty.” The jersey will move to a new recipient each week of the year and he was mindful of that. According to Lead Supervisor Tony Seebecker, Dave is always thinking about others. 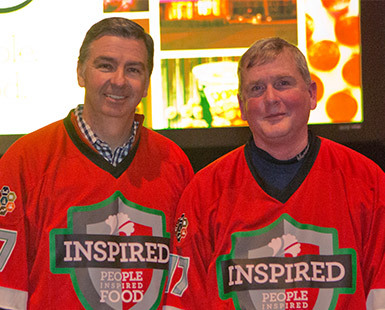 “Dave can be see daily looking out for people safety and food safety and bringing things of concern to our attention,” he says. He brings the same thoughtfulness to his personal life. In addition to spending time with family and friends, he pursues hobbies such as gardening, smoking his own meat and woodworking. The latter produces benches, quilt racks, shelves and refinished pieces, too. At work and at home, he likes to stay busy in his signature quiet, unassuming way. “That’s the best part of my job,” he says.